The first fly out occurred in the 800 Block of Federal Hill Road on June 17th. Units responded for a reported dirt bike accident with one patient reportedly injured. On arrival crews requested aviation for a Priority 1, Category A patient. A landing zone was secured at the scene for Trooper 1. 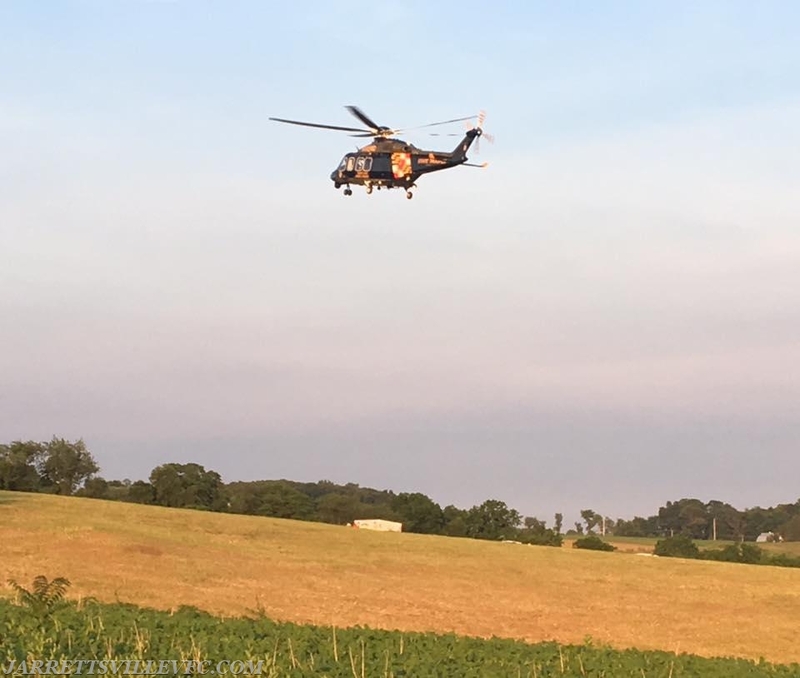 The second fly out occurred on June 19th in the area of Sharon Road and Rigdon Road. Crews responded for a reported bicycle accident. Units arrived to find a bicyclist in the roadway who had fallen while riding. Aviation was then requested for a Priority 2, Category B patient. A landing zone was secured for Trooper 1 at the scene.